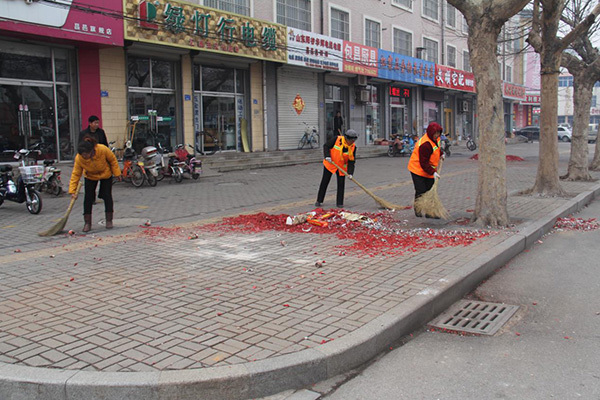 After the Spring Festival, workers from the company engage in the daily cleaning work and clean and clear the garbage generated during the Spring Festival. Using the high-pressure washing vehicles, the workers wash and clear the rails and adlet. Clean the garbage completely. With the opening of enterprise and stores, fireworks and other garbage are increasingly generated. 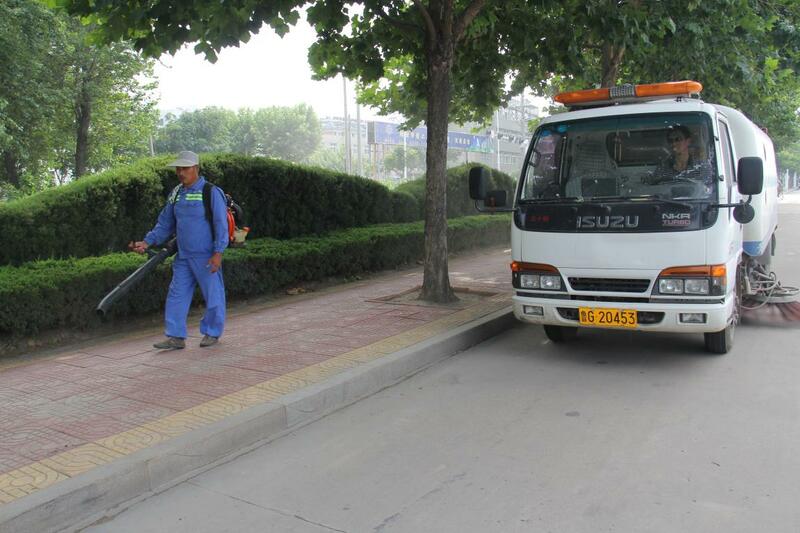 Cleaning Department arranges related workers and equips sanitation vehicles to clean garbage. Workers from transporting Department work overtime to ensure garbage transported in time. Wash guardrail and waiting room. Seize the advantage of high temperature, workers wash guardrail and waiting room locating in urban areas with the help of sprinkler at noon. Clear the adlet. 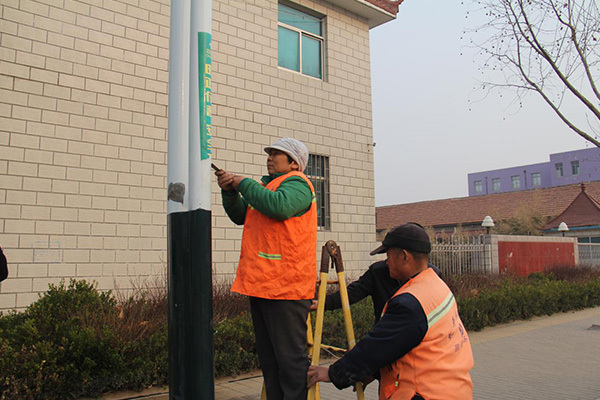 During the Spring Festival, more and more “Happiness” and adlets are posted on the pole, wall and the bridgehead. The Cleaning Department provides as number of high-pressure washing vehicles to clear them. Besides, the work shall be done by sanitary workers using the relieving tool and rags. The objective to create a clean environment for public.